If you’re interested in getting into the practice of using a straight razor, there are a few things you will need to learn how to use, so that you get the best shave, keep your skin soft, and keep your razor able to be used again and again. This is why you’ll more than likely want to buy a whole straight razor kit, so you can not only fully appreciate using a straight razor, but also so you can make sure that you’re doing a good job. Here are the essentials that you’ll need to put your kit together. This is the most important part of your kit. Depending on what your budget looks like, there are many razors to choose from. You also can choose between a regular straight razor and a shavette, which is a straight razor that has disposable blades. A good rule of thumb is to find a razor that is a good mix of quality and function. That means it should have a strong metal head, even if the handle is plastic. If you’re opting for a shavette, make sure that it has blades that are easy for you to find when you run out. The first part of the shaving process is the pre-shave oil. It makes sure that your skin is conditioned and helps each individual hair come to the surface, so that the razor is able to cut even the smallest or coarsest hairs. This can make sure you get a smooth shave each time. Most oils can be used with soaps or without soaps to make skin soft and moisturized, so you can decide what other creams or soaps you want to use, or if you want to use only oils when you’re shaving. There are so many different types of soaps or creams you can use when shaving, whether you want to use special soap and a brush to get a great amount of lather or simply use a standby shaving cream that you have been using since you first started shaving. Whatever you feel comfortable with is fine, or you can opt for specialized products that can condition your skin and keep your face looking healthier, even in between shaves. If you decide to get a straight razor, you’ll also need to purchase a strop. A strop is a strap of leather that you use to sharpen the blade of a straight razor to keep it sharp enough to use each time. You don’t have to sharpen it very often, but you do have to learn the proper procedure to sharpen your blade, as you have to do one side in one direction, and the other side in the opposite direction. The process ensures that you will always have a close shave and it will keep your razor looking great for many years. If you chose a shavette, you will need to make sure that you have extra blades for when you need them. Depending on the razor you chose, you may not really have to change out the blade that frequently, especially if you keep the razor nice and clean, and store it properly. It is important to note that it still does need to be taken apart each time you use it so you can get all the hair, oil, and soap out of it, to make sure that it is germ free. Finally, you’ll need something to help your face after you shave. Again, this can be a product that you are familiar with, like your standard aftershave that has alcohol in it, or something that is made from natural ingredients and it designed to give you long lasting nourished skin. When you have everything together that you need, you need to make sure you care for it and keep it together. This way you can always have all your shaving components together when you need them and you can keep everything sanitized and clean. 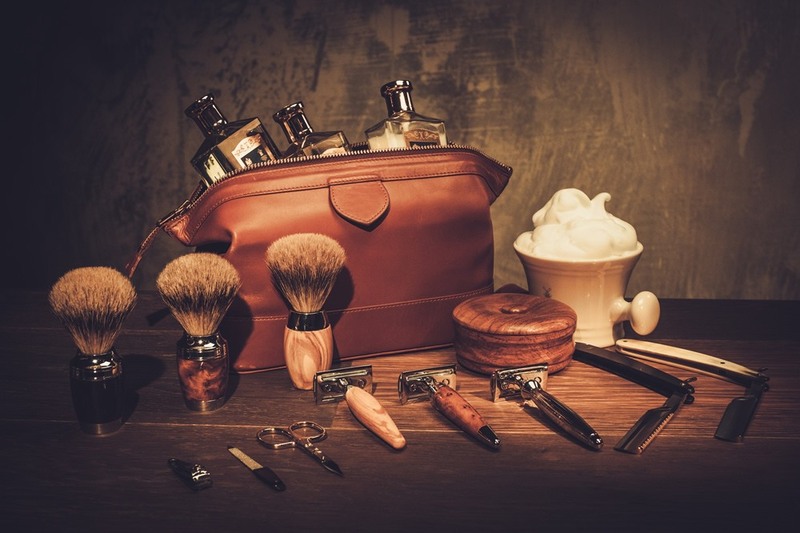 If you need help figuring out what to get or which products are useful, you can search online for more information or watch videos of how to shave properly using a straight razor or even how to use a strop. To start your straight razor shaving journey, you just need to get a few items together so you will have everything you need to get started. After you master using the razor, you can then determine if you need anything else, or if you want to upgrade your model. There are tons of creams, lotions, and oils to choose from, so be sure to get something that is highly rated or popular when you’re choosing your first products. Other than that, just take your time and have fun shaving.